After 26 years in the high-octane environment of the pensions industry I just couldn’t stand the excitement any more so I made my escape and spent two years travelling around Central America, East Africa and Europe. My travels in Europe were in an old Dutch VW Campervan called Brian. I had been keeping a blog for most of my journeys and particularly enjoyed sharing Brian’s adventures. When it was time to come home I decided that I wanted to travel and write rather than return to a proper job, but I needed a journey to fuel the story. After many ridiculous ideas were discarded, I happened to read Iain Banks’ Raw Spirit about his journey around many of the distilleries in Scotland. I much prefer beer and wine to whisky and Scotland has no vineyards so I set about researching the breweries. I discovered that there were about 70 in all, tremendously varied in nature, spread across the length and breadth of the country with new ones popping up frequently, as the craft beer industry was booming. So now I had my purpose, to ‘discover beer in the land of whisky’ by visiting all of the breweries in Scotland. I would make the journey in my ‘Campervan for Real Ale’, Brian. The book takes the reader along on the journey, discovering not just the beer but also the people behind the pint and many of the most remote and stunning parts of Scotland. 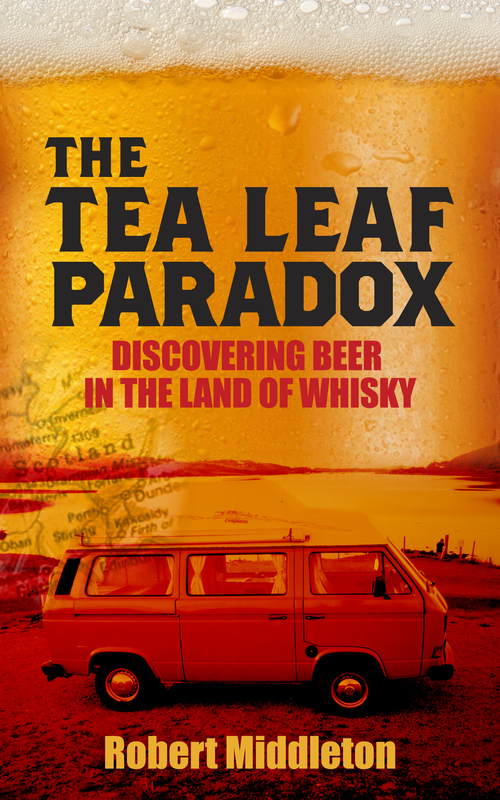 This book should leave you with fond memories of the journey, a new perspective on beer and a desire to visit Scotland. Hi Robert, how’s tricks? I haven’t read your book yet but it’s now on my list!! Hope you’re keeping well – by the sounds of it your enjoying life.